Shopping for Beauty and the Beast Watches? Show your love for Belle with this Beauty and the Beast Stained Glass Strap Watch! 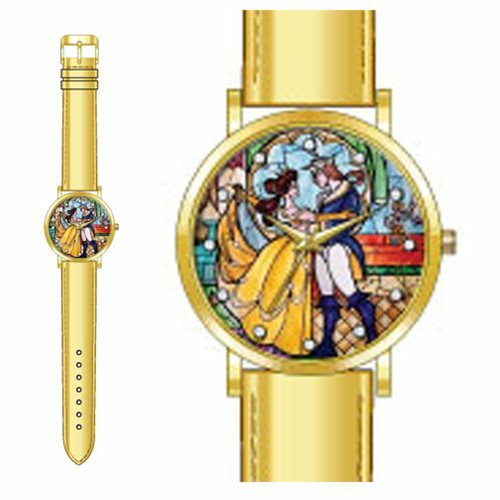 This sleek watch features a stained-glass design of Belle and the beast with a yellow design. Strap measures approximately 8 1/2-inches long and the face is about 1 3/4-inches in diameter. Watch comes packaged in a displayable box. Ages 13 and up.